The Thabo Mbeki Foundation has conveyed their condolences to the Masuka family and lauded Mama Dorothy Masuka as a cultural worker, activist and an Esteemed Member of the Order of Ikhamanga. Masuka passed away on Saturday night at the age of 83. 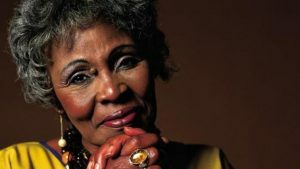 The foundation praised her as an icon of African culture, a consummate artist, composer and poet-songwriter who as a cultural worker and activist under Apartheid used her talent to advance social and political consciousness. This earned her 31 years in exile. “We should all, as South Africans, particularly young artists, reflect on the values Mrs Masuka espoused, better yet to realise the vision of the nation she contributed towards building,” says the foundation in a statement. Mourners gathered at her home in Johannesburg to convey their condolences to her family. Political parties have joined the music industry and country in mourning her death, describing it as a great loss to the country and the industry. Congress of the People (COPE) says it shares the pain with the Masuka family and the industry. It says Masuka might be gone, but her music will live for ever. The post Mbeki Foundation conveys condolences to Masuka family appeared first on SABC News – Breaking news, special reports, world, business, sport coverage of all South African current events. Africa's news leader..